Mt. 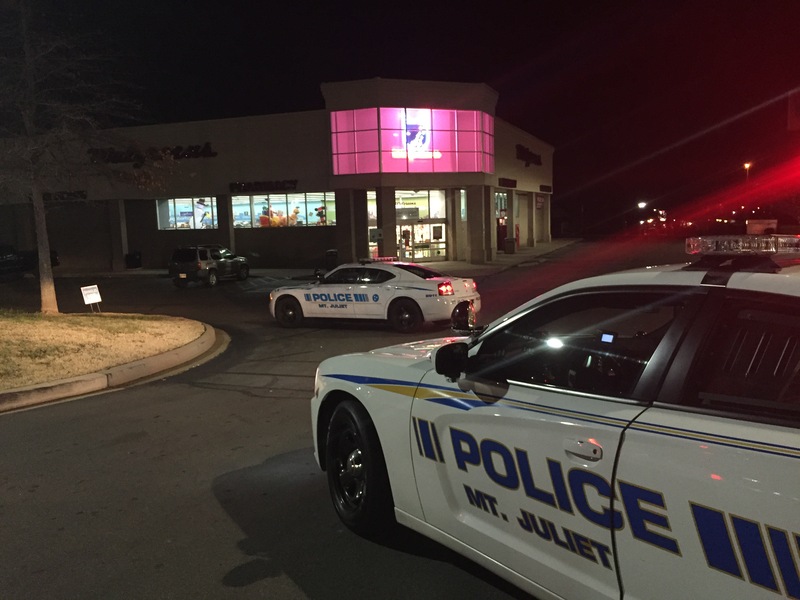 Juliet, Tenn. – A lone gunman entered Walgreens this evening, demanding cash from store staff and one patron. Around 9:08 p.m. on Friday, November 21, 2014, officers rushed to Walgreens (11185 Lebanon Road) after Mt. Juliet’s Emergency Communications Center received a 911 call of an armed robbery that had just occurred. A slender black male, approximately 5’8” tall with dread-style hair, wearing a black hooded-sweatshirt, grey undershirt, black pants, black tennis shoes, and a covering over his face, entered the store and confronted a clerk and patron at the front cash register. The suspect demanded cash from the cash register, which the clerk complied. He also demanded cash from the patron’s wallet, but the patron did not have any cash. Shortly thereafter, the suspect forced the clerk and the patron to the back office to lie face down on the ground. A store manager was in the back office, and he complied with the suspects demands as well. The suspect then ran out of the store on foot, but his whereabouts after that is unknown. No one was injured during this incident, and the suspect fled away with an undisclosed amount of cash. Investigators hope someone in the community will recognize the suspect and his clothing from the surveillance images.